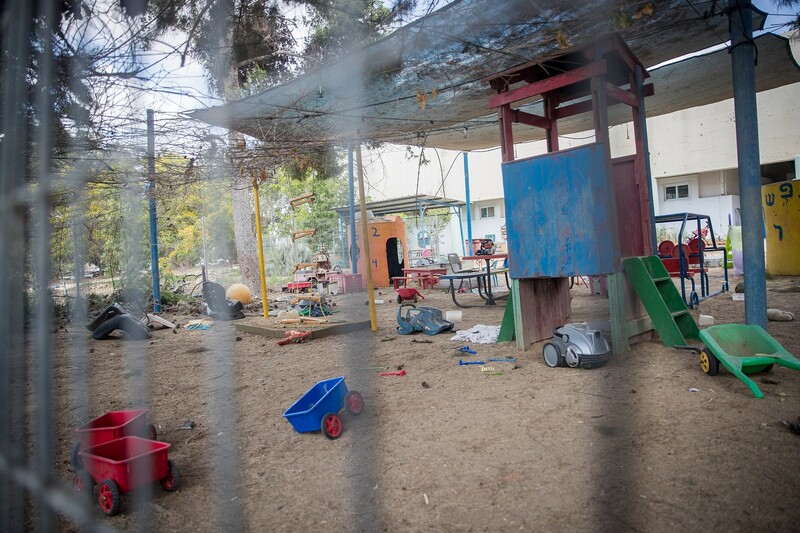 An Israeli kindergarten in an Eshkol region community near the Gaza Strip opened normally on Tuesday, despite a mortar shell landing right outside it shortly before the children came in at the start of the day. “The children are dancing, talking… expressing themselves. Some are a bit more afraid, blocking their ears and saying ‘there was a rocket alarm,'” Ludmer Gigi added. 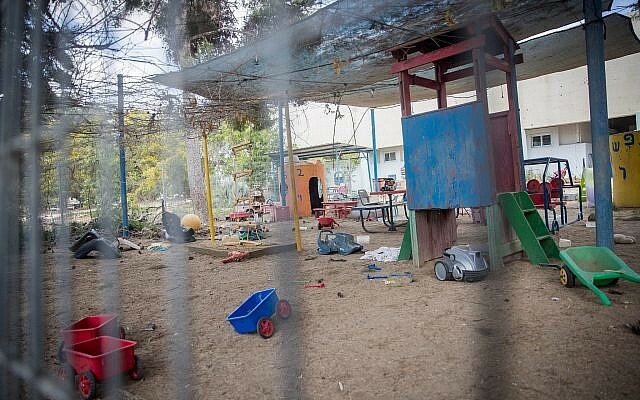 IDF spokesperson Lt. Col. Jonathan Conricus visited the site, and the military published a video showing the damage caused by shrapnel to the kindergarten’s reinforced structure — including to its front door. 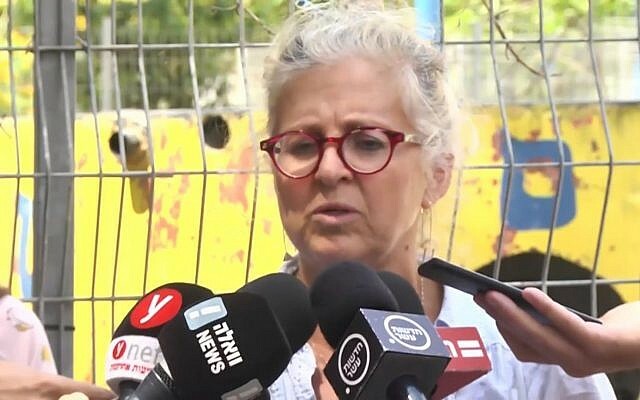 Resident Adva Klein said that, she only got two hours of sleep due to the noise of artillery, planes and gunfire. The attack, which triggered three rounds of sirens in as many hours in the Sha’ar Hanegev and Eshkol regions, was claimed by the Iranian-backed Palestinian Islamic Jihad terror group, apparently as revenge for the IDF killing three of its members in a cross-border exchange earlier in the week. The army said some 28 mortar shells were fired at Israeli territory in at least three separate barrages, starting before 7 a.m. Most of the projectiles were intercepted by the Iron Dome missile defense system. One person was injured by shrapnel when a shell landed a few meters from him, and was taken to the Soroka hospital in Beersheba in light condition. It appeared to be the largest attack from the Gaza Strip, in terms of the number of projectiles fired, since the 2014 war, known in Israel as Operation Protective Edge. 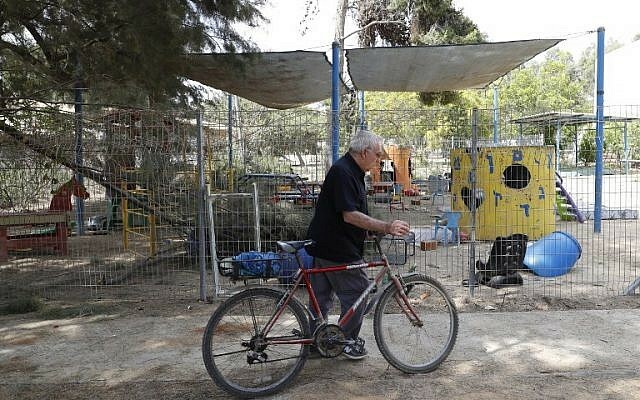 President Reuven Rivlin phoned the kindergarten next to which the shell landed and told children that he and his wife, Nechama, were waiting to meet them at the President’s Residence. 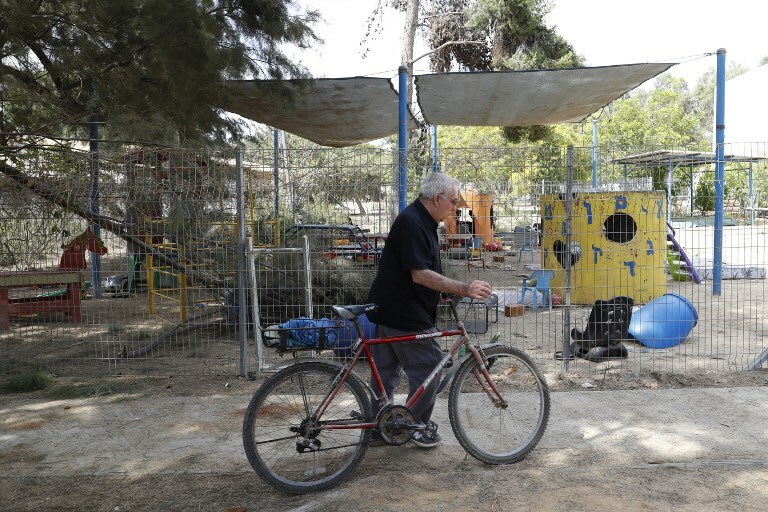 The kindergarten teacher said that Rivlin’s call came during the kids’ breakfast. “What a precious, magical person,” she said, according to Ynet. “They asked if he could speak with the children. At first I refused, because we first have to eat. Judah Ari Gross and Times of Israel staff contributed to this report.